When tooling up for the '53 Hornet, Moebius also made provisions for a 1952 interior and some racing parts (side exit exhaust, unique decals, and lots more). 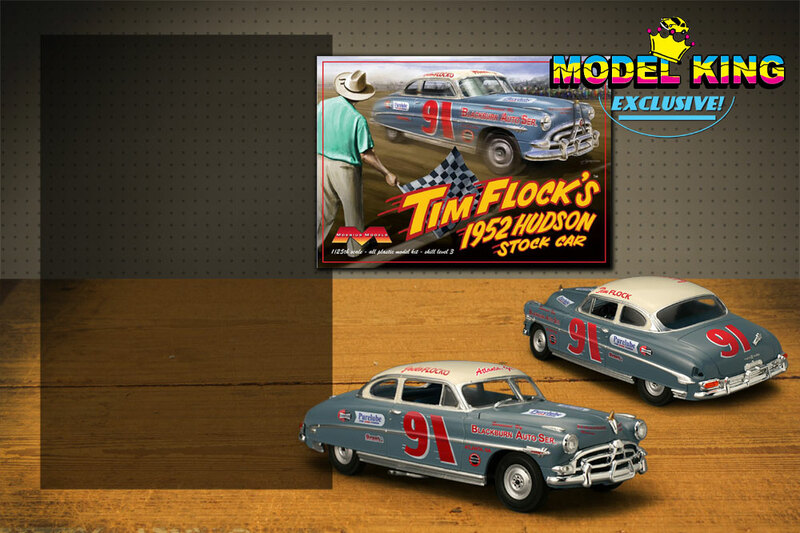 Thus the version you see here, looking like it's ready to go kick up some sand on Daytona Beach, replicates Tim Flock's #91 1952 Grand National championship-winning machine. It's representative of the marque's dominance in stock-car racing in the first half of the 1950s.